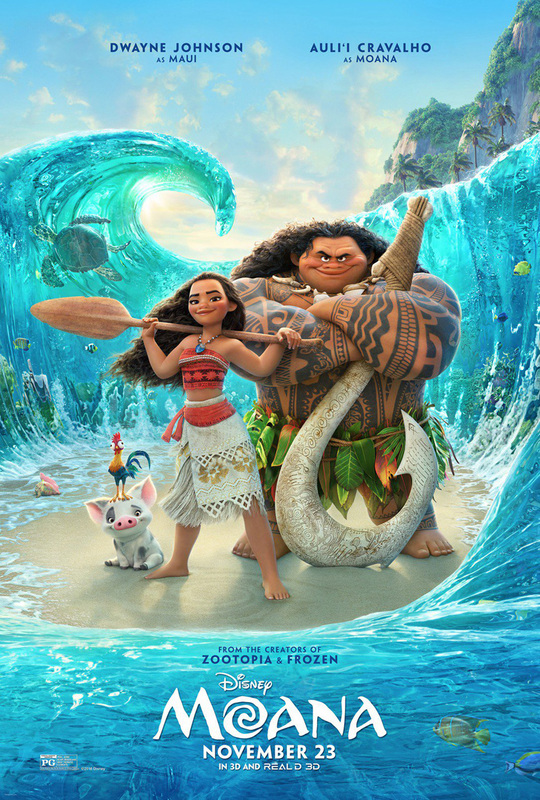 Moana follows the titular character as she leaves her island on a journey to save it. As a girl, she is chosen by the ocean – fun fact, “Moana” means “ocean,” so the ocean chose “Ocean,” LOL – to take a sacred jewel and give it back to the god it rightfully belongs to. Why does the ocean choose her? It’s never clearly stated, but the selection is made right after she displays kindness, courage, and cleverness as a child, so I imagine that has something to do with it. On her journey, Moana has to overcome many obstacles, the first and foremost of which is her own father’s overwhelming desire to protect her. It’s a classic story of an experienced parent trying to safeguard an adventurous child, but unlike most such stories, the parties involved aren’t all just trying to have their way, and none of them are completely wrong. They’re all human, so they all have reasons, and they all make mistakes of some sort. That’s life. That single element, where things are more complicated than the usual story, makes Moana a much more complex and layered movie than most of Disney’s previous animated works. This holds true for Moana herself, undergoing a difficult, uncertain journey towards finding her own self, and many of her castmates as well. When she finds Maui, the demigod of Polynesian myth, enlisting his aid is more complicated than either asking or making him help her: she has to persuade him. Maui himself is a very human character too, having made a terrible mistake, and for the wrong reasons, but due entirely to his own tragic origin. The crown, however, goes to the looming, monstrous enemy, and how Moana finally achieves her goal. On the other hand, for being so unique in Disney’s library, it also feels a little “by the numbers.” It was pretty much Moana going through a series of obstacles, straight from one to the next. While it was great seeing her win by use of her strength, wits, and spirit, it also got a little repetitive. Each obstacle, each difficulty, took, like, five minutes to deal with. Her canoe can’t make it in the rough seas? Use these older, larger canoes. Maui having trouble shape-shifting? A few minutes of practice will clear that up. Sinking into despair after folly and failure? A little pep talk will get them going again. Don’t get me wrong, it was fun to watch, but it felt a bit rushed, perhaps even trite, at times. A little too easy, ya know? Which brings me to the music. It was good, yes, very good, especially for the story. But it wasn’t really great, ya know? A lot of Disney music is great even without the movie. Aladdin, The Lion King, The Little Mermaid, Beauty and the Beast, these all have soundtracks that are fun to sing on our own, and really easy to remember. Moana‘s soundtrack? Not so much. I’m not sure how to describe it, but for all the fun and the emotion, they felt, to me at least… less organic, perhaps? Creating the music certainly took skill, and it was beautiful, but I didn’t find myself wanting to sing along… assuming I could sing along, that is. The lyrics and tempo weren’t always so easy as that. I suppose it just didn’t get into my system, ya know? Still, the story was plenty fun and funny, intriguing and emotional. No small feat, especially since most of the movie relies only on two speaking characters: Maui and Moana. There were appearances by her parents and grandmother, and a giant, greedy crab, but there was a distinguished number of non-speaking characters too, including a pig, a chicken, an animated tattoo, some angry coconut monsters, the ocean, and at least one divinity. All silent.. or, at least, wordless. 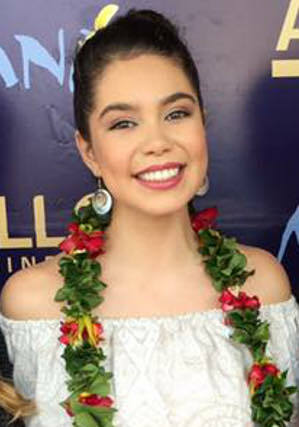 Which shines the spotlight ever more on our central characters, and I have to say, Dwayne Johnson was great as Maui, and he was astoundingly matched by Auli’i Cravalho, a teenager… making her debut… in the lead role! Wow! I mean… wow! She was good! Whoever cast her pretty much won the lottery of lotteries! She is amazing! And that’s her first time?! I say again: WOW! So, I can see where the critics are coming from, but I think the imperfections are more than balanced out by what Disney got right. They took risks and did something new. They didn’t even have an actual antagonist in the end, though the crab did get a villain’s song. Some of that worked out brilliantly, like Moana’s role and realization at the climax of the story, and some of it fell short, like how Maui kept giving up on everything, especially himself, but then came back willing to make a great sacrifice for Moana’s sake, and then his role in the climax just kind of tapered off a little anticlimactically. It was a bit shaky at times, but the end result is a simply a fun ride, a good time, an enchanting, intriguing tale, unlike any previous Disney work, that is really about the journey of self-discovery and self-realization. Rating: I give Moana a good 8 stars out of 10. Grade: B-Plus, bordering on the cusp of A-Minus. This entry was posted in Movies, Tuesday Review and tagged Disney, Moana. Bookmark the permalink.